Now, if you have a computer, you can take payments – quickly and securely, anywhere, any time – without a major investment of money or effort. Elavon’s VirtualMerchant is a complete hosted payment solution that instantly transforms your PCs into “virtual” payment terminals. Accept a full range of payment types – from credit and debit cards to electronic checks and gift cards. Process transactions in physical face-to-face, mail order/telephone order, or e-commerce environments. Easily handle recurring and installment payments. And reduce your risk and compliance headaches by letting Elavon protect your financial data and ensure you’re in compliance with the latest industry security standards and regulations. Best of all, VirtualMerchant is designed to accommodate organizations of any size in any business segment. Turns any web-browser into a virtual payment solution in physical (face-to-face), mail order / telephone order (MO/TO) and e-commerce environments. Supports real-time processing and also features a highly efficient multiple-entry mode for key entering a series of non-real-time transactions. And finally, Virtual Merchant Mobile is now available! With a purchase of an authorized magnetic stripe reader any merchant can turn their iPhone or Android smart phone into a fully capable mobile credit cards terminal. Call us to ask how! 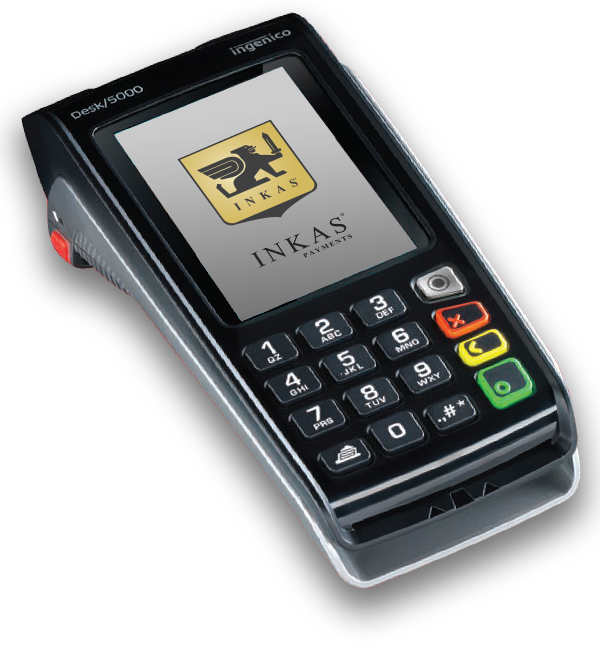 INKAS® Payments Corp. is a subsidiary of INKAS® Group of Companies formed in 1993. INKAS® has originally started as an armoured courier services company. Having purchased a manufacturing facility in 1996 INKAS® has expanded into safes and vaults manufacturing business. Our support team is available to help you during regular business hours. For urgent inquiries during non-business hours contact us by email. INKAS Payments is a registered ISO of Wells Fargo Bank, N.A., Canadian Branch, Toronto, ON, Canada.